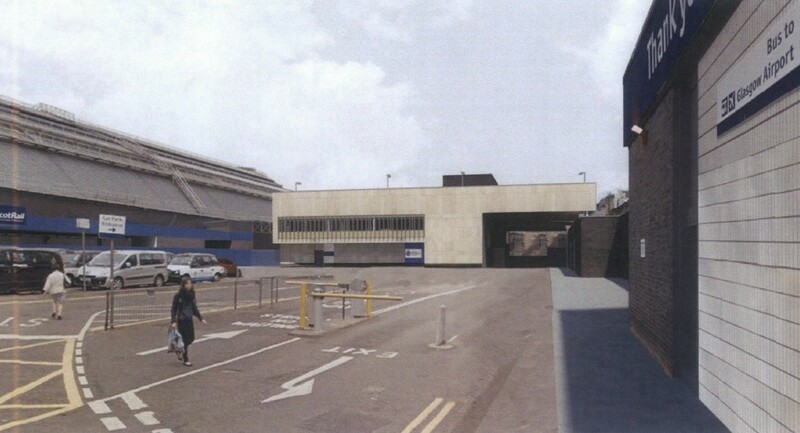 Network Rail has tabled plans to build a combined staff accommodation block and car park within the footprint of Glasgow’s Queen Street Station following the re-opening of the station tunnel. The two storey structure will include a variety of offices, meeting rooms and stores together with a 70 space parking deck on the roof accessed via a bridged ramp. Located off North Hanover Street on the site of a former goods station the proposal forms part of wider efforts to increase capacity at the rail hub, including an expanded concourse to accommodate an expected 40 per cent rise in passengers by 2030. Given the intended use I like the design. I always thought the more "subdued", "blank box sans detail" look suits buildings like this at places like airports, train stations and the like. Very utilitarian in a modern way. It's really the only way, in my opinion, the style works. does this mean the Buchanan Galleries extension will not be proceeding? 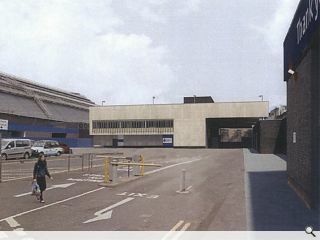 was this not where the new multi storey car park was supposed to be located? As of 3 July Land Securities said they were ‘not currently pursuing’ their expansion plans. This supercedes that although it will require the approval of ministers. Network Rail own the land.